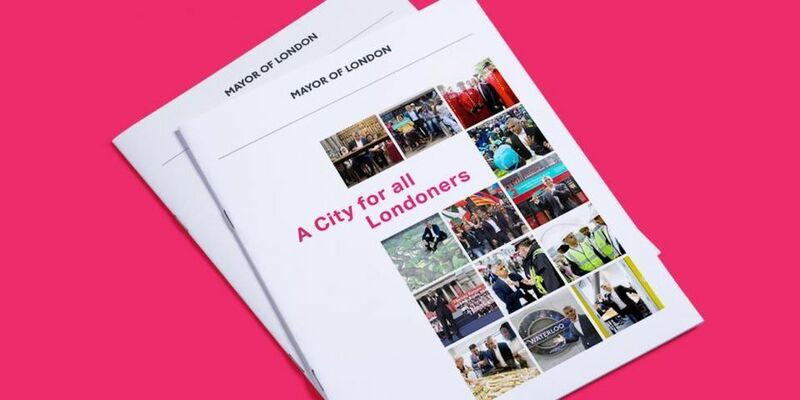 The Mayor has published his vision statement, A City For All Londoners, which outlines the capital’s top challenges and opportunities. A focus of our work is on bridging the gap between policy and practice. We aim to highlight the innovations of our winners to policy makers and show the work being done ‘on the ground’ to facilitate the development of policies and programmes that will bring about the transformational changes required to reach a zero carbon world. As well as our network of Award winners, many of whom are based and operate in London, we also have access to wider networks of organisations through our Fit for the Future Network1, a solutions-based network for organisations that have a large property portfolio and want to reduce energy bills and better manage environmental impacts. More than 100 members have joined the network in the past three years including TATE Modern, The Crown Estate, and Somerset House. Collectively they have saved 14,657 tonnes of CO2 in 2015 alone, over 40,000 buildings. Ashden has undertaken visioning around London’s future with our winners and other key stakeholders over the past few months. Earlier this year, we held a workshop with some of our alumni which included a session exploring how they could contribute to some of the Mayor’s key manifesto pledges related to making London a low carbon beacon and cleaning our air. We would be delighted to help the GLA further develop the Mayor’s ‘A City for All Londoners’ vision. Through our network of alumni and partner organisations, we can draw on a wealth of expertise from pioneering organisations to help establish what the city could and should look like in 2050, as well as the route map for achieving that vision. We have an excellent track record in this field, as evidenced by the achievements of our Fit for the Future Network and LESS CO2 (which is sharing best practice amongst schools on reducing carbon emissions and engaging pupils). We would welcome the opportunity to facilitate discussions between the GLA and some of our winners to help ensure that the GLA can build on existing best practice and expertise to deliver its vision. We could also facilitate site visits for GLA staff and councillors through our ‘Seeing is Believing’ programme. Ashden supports a very ambitious vision for London. What should be different in 2050? Which is recognised internationally as a world-leading zero carbon city and as a hot bed for the skills required to achieve this. Cities around the world seek advice from London in terms of how to make this transition. We welcome the emphasis within ‘A City for All Londoners’ on protecting and enhancing the environment and on making London a zero carbon city. However, we feel that the draft vision presented in this document would benefit from increased ambition as well as greater urgency in terms of meeting this ambition. As much progress as possible towards meeting this zero carbon goal should be achieved within the Mayor’s current term. To help with this, we would urge the GLA to look to others across the UK and Europe for inspiration and evidence of ways to achieve change rapidly. This is where we can help, through facilitating the sharing of ideas and learning with our range of winners, each of whom is leading the way in their particular field towards achieving a low carbon world. What is the role of the GLA? The Mayor should lobby the UK Government to put in place the policies and structures that can enable change to happen. He has already been active in this area in terms of diesel vehicles; there is scope to extend this influence to areas such as zero carbon buildings, where the London Plan is leading the way in comparison to national policies. Greater power over minimum standards in new and existing buildings to achieve the zero carbon buildings target. Most policy in this area remains at a UK level; the GLA needs greater control over existing regulations (both residential and commercial). The evidence is clear that where the Mayor does have powers, a great deal can be achieved; for example, through the London Plan, new build climate policies resulted in CO2 savings of 35% over national building regulation requirements2. Greater powers to raise and retain funding. The UK Government has announced that local authorities can retain 100% of the business rates that they raise locally; a similar power with the Climate Change Levy could generate around £200m a year for London to be spent on low carbon projects. Extra powers to coordinate work across local authorities. Turning London into a low carbon city will require a coordination of many different activities – retrofit, renewable generation, storage, microgrids, community energy, green infrastructure. Local authorities don’t have the resources or capacity to coordinate this activity. The GLA should therefore be given extra powers and resources to be able to work with local authorities on coordinating this activity. The London Plan already sets a ‘zero carbon’ target for residential development, commencing from 1 October 2016. This will require homes that are part of major developments to achieve at least a 35 per cent reduction in CO2 emissions (beyond Part L) on site. The remaining CO2 emissions are to be offset through a cash in lieu contribution to the relevant borough which is expected to raise millions of pounds each year. To this end, each borough should establish a carbon off-set fund, which could provide a funding source of future retrofit activity. We urge the GLA to encourage all local authorities to set up funds and provide support to them on how to use the funds effectively. We would urge zero carbon targets to be extended to all new homes and also to existing homes, for example through the introduction of consequential improvements (which would require any building where significant works such as an extension is being carried out to be brought up to new build standards of energy efficiency). As part of this, barriers to the installation of low carbon technologies (such as solid wall insulation or solar panels in conservation areas) should be minimised. Ensuring that London receives its fair share of supplier obligation funding. Historically, London has received much less than its fair share of this funding, meaning that Londoners have effectively been subsidising measures being installed in other parts of the UK and missing out on around £420m under the CERT and CESP programmes3. The Government has proposed that the current energy supplier obligation scheme, ECO2, be extended to March 2018, with a focus on the fuel poor and low-cost insulation i.e. increase in the relative size of the Affordable Warmth element. The Government has also consulted on the high-level design for a new supplier obligation which will focus on heating and insulation for the fuel poor. A full consultation is expected in early 2017. See Cosy Homes in Lancashire (CHiL) (below) for an example of how local authorities working together can be very effective in pulling in funding and pooling resources to offer subsidised energy efficiency measures to households. Seeking innovative sources of funding such as S106 funding, Electricity Capacity Market revenue (secured through enabling Demand Side Response in public buildings when the grid is constrained) and generating revenue from local authority-owned renewable installations. See Abundance and Open Energi (below) for examples of the latter two. The Mayor should place clear expectations on London boroughs about what he expects them to be doing in terms of cutting carbon emissions from homes and eradicating fuel poverty. This could include making explicit an expectation that public health authorities will work in partnership with local authorities to ensure that ill health from cold homes is minimised. GLA should provide technical and financial support to this end, building on the RE:NEW programme, to help all London boroughs to achieve best practice on energy efficiency and fuel poverty e.g. a programme to support roll-out of the SHINE initiative. Minimum Energy Efficiency Standards for the private rented sector are being introduced; with some exceptions, from April 2018, properties which are given new leases or extensions of leases must have an EPC rating of E or higher. Our winners tell us that local authorities do not have the capacity to enforce these standards and, without enforcement, the standards are unlikely to achieve a great deal. Local authorities will therefore need support to enforce both the standards and the minimum standards related to Excess Cold that are set out in the Housing Health and Safety Rating Scheme. The GLA could provide whole range of complementary technical support for local authorities on improving the energy efficiency of the worst-performing PRS properties.